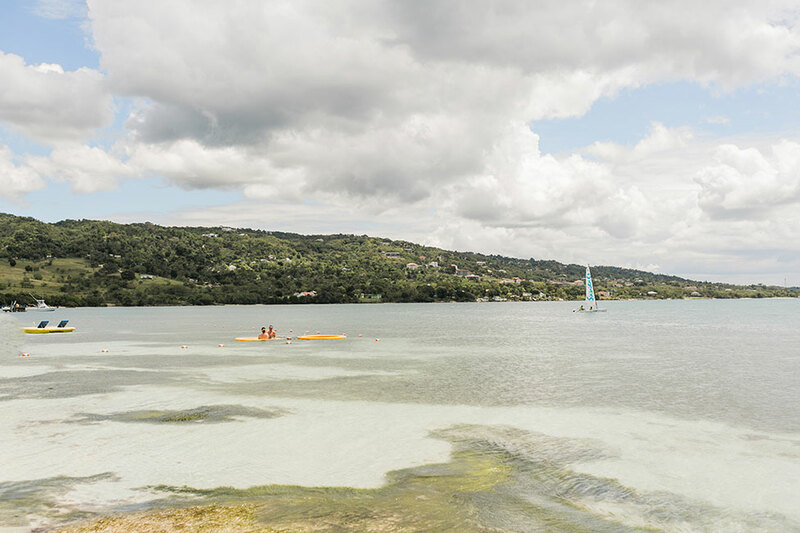 A little while back now I had the incredible opportunity to visit with the absolutely amazing team that makes up Sandals Resorts, specifically in a few of their Jamaica locations such as Sandals Montego Bay & Sandals South Coast. 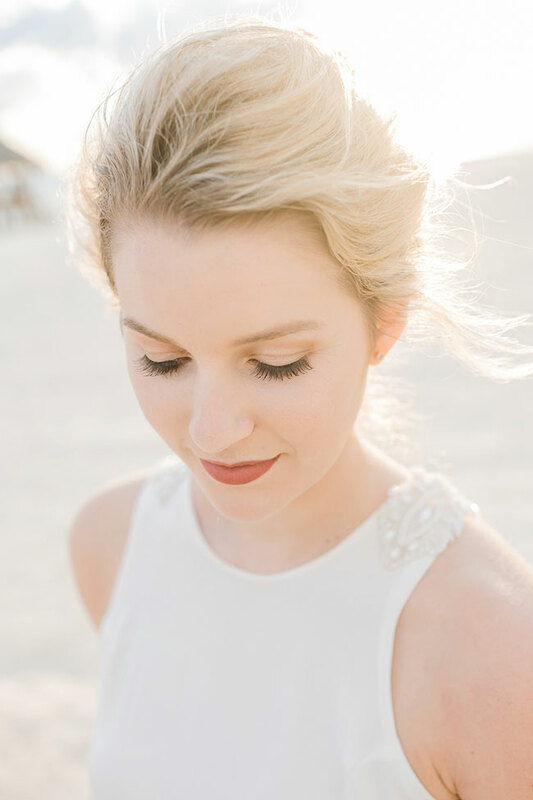 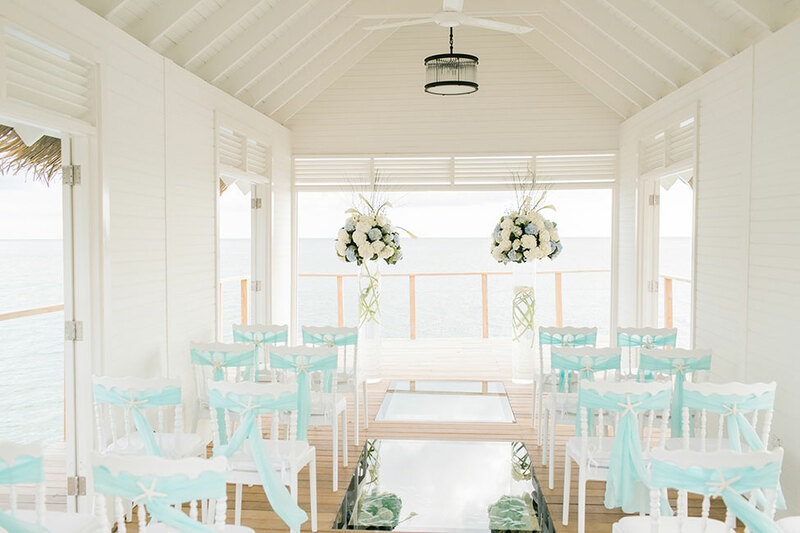 The purpose of the trip was both to experience the unique opportunities that each and every Sandals guest has available to them, as well as take in their incredibly cool Aisle to Isle destination wedding program, but more on that in just a moment! 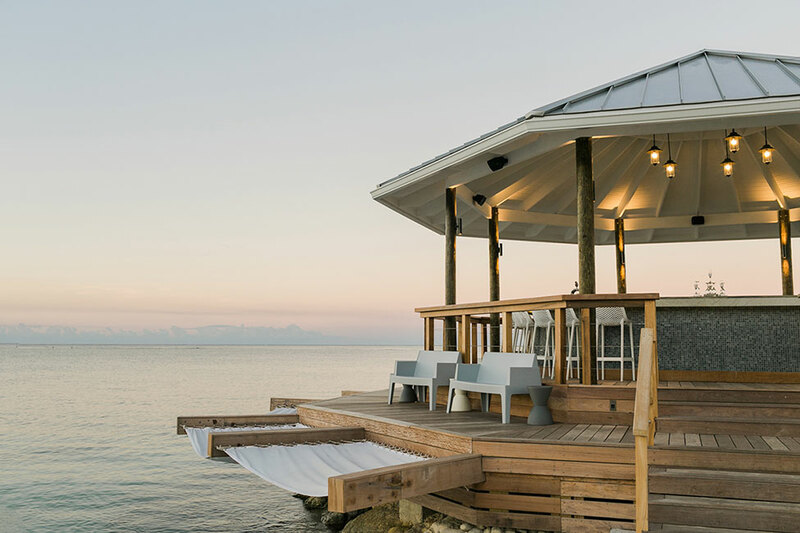 Those seeking a Caribbean honeymoon complete with every possible outdoor living detail, look no further. 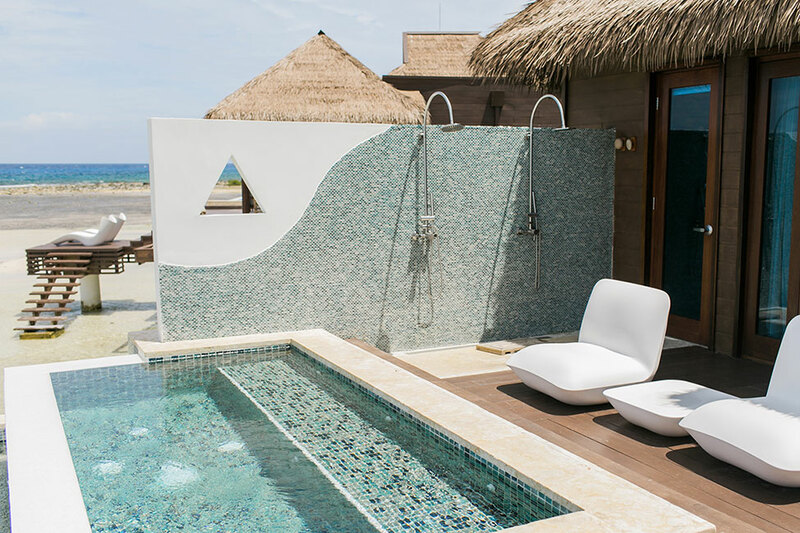 From an open air floor plan that provides each and every bungalow with panoramic ocean views, to a private plunge pool that is soul replenishing. 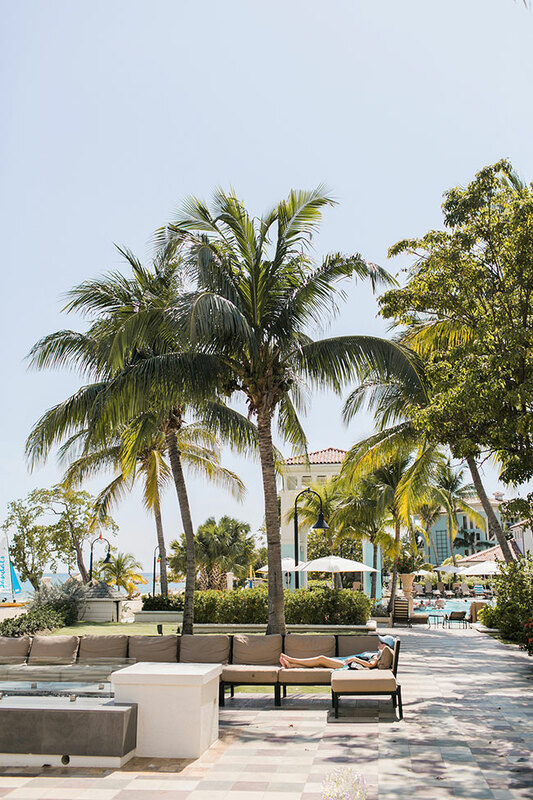 Amenities like outdoor showers, a terrace deck lounge area, swinging day bed and direct access to the seas below for a salty dip, you truly can not beat it. 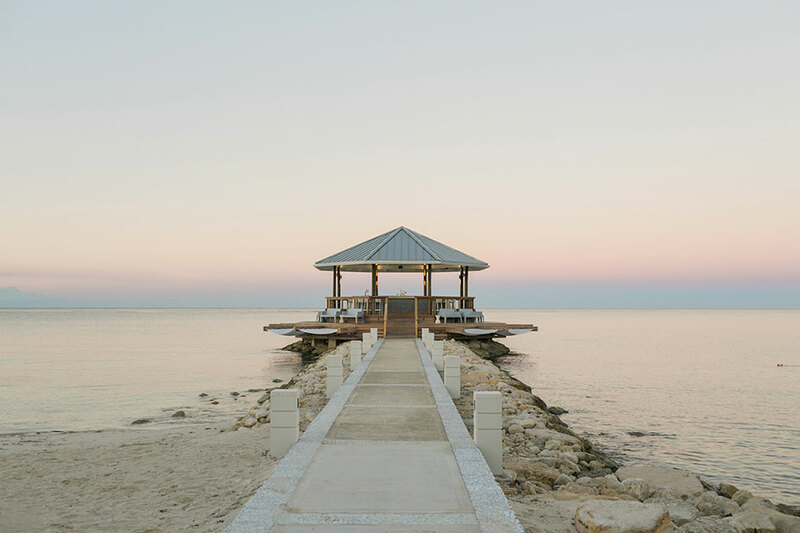 One of the cooler aspects to the Sandals Resorts experience is the ability to get married on one property and honeymoon on another. 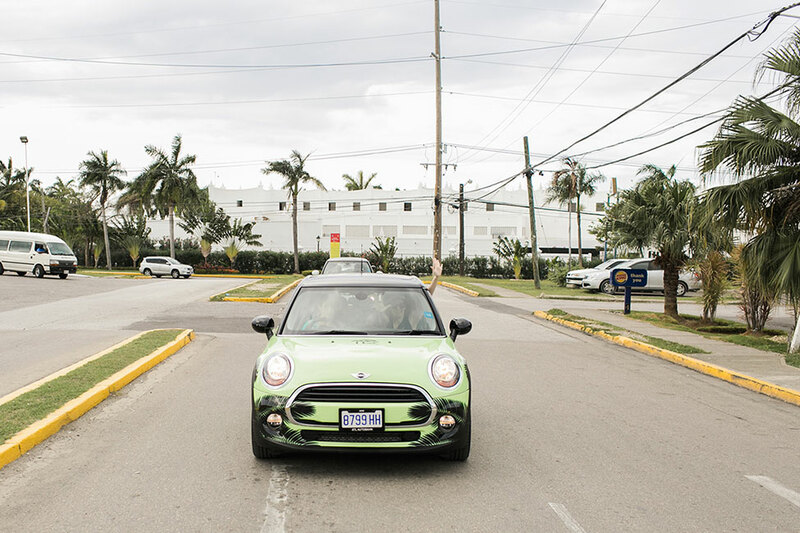 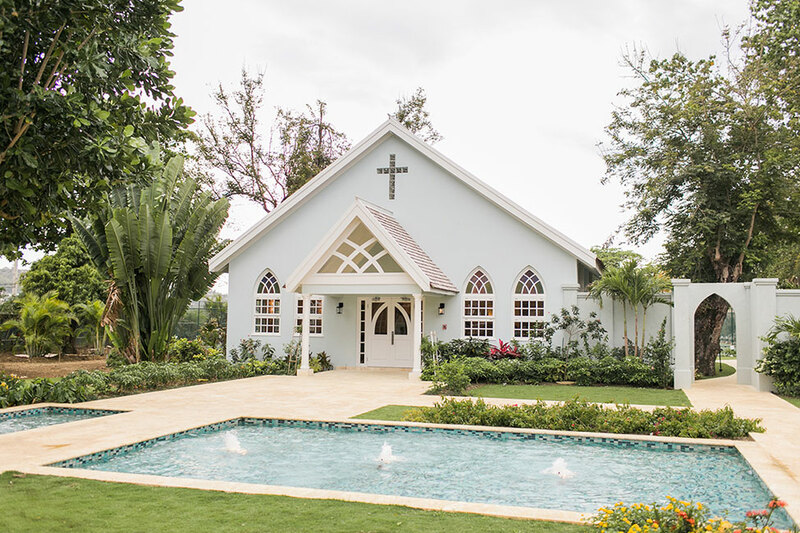 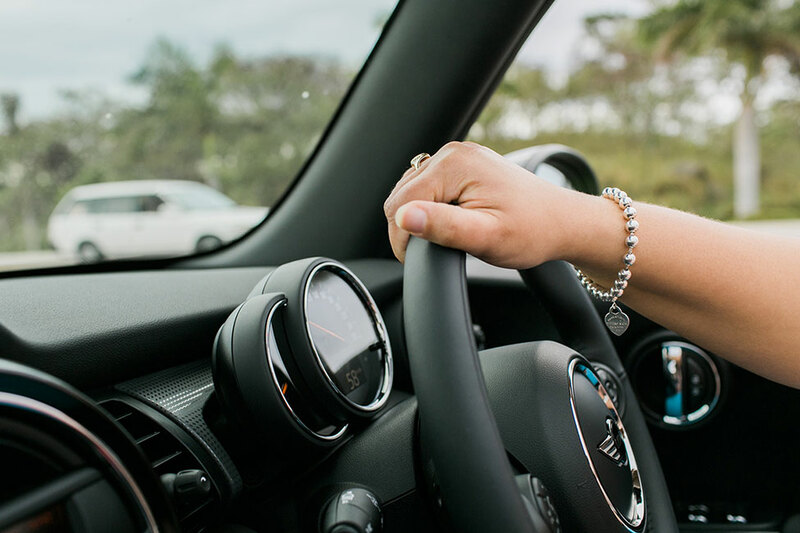 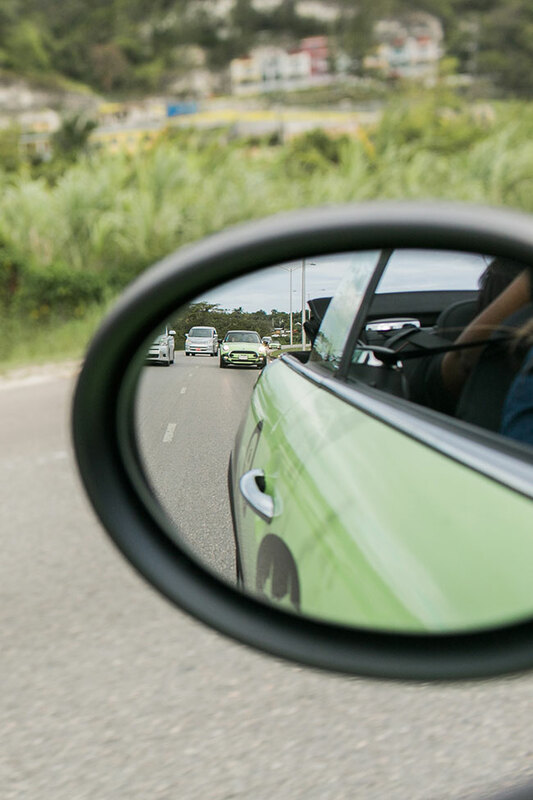 From our Bungalow experience we hopped into Island Adventures Mini Coopers and headed to Sandals Montego Bay for a peek at the end result of their of their chapel renovation. 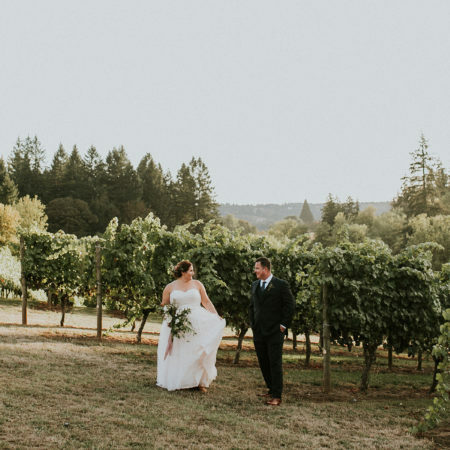 While photographs can not do it justice, let me tell you, if the one thing holding you back from a destination wedding is a desire to get married in a church, seriously look no further. 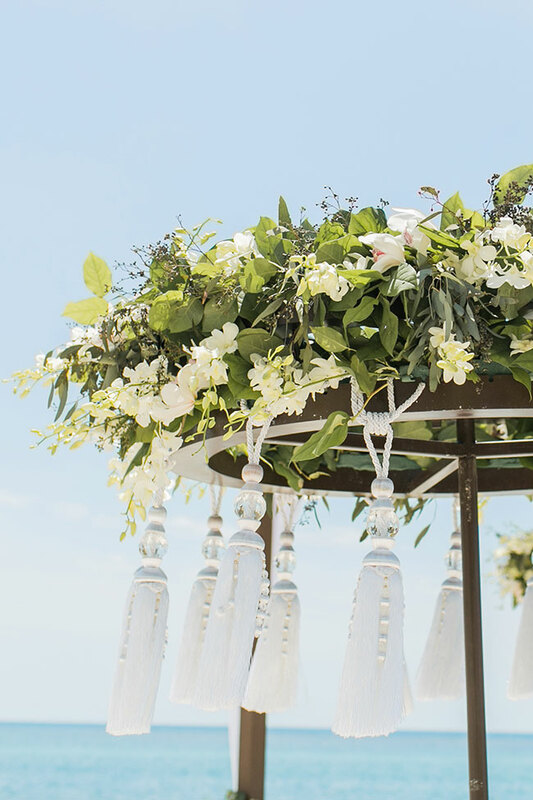 A wonderfully intimate chapel accented by two grand chandeliers and one of the more incredibly cool alter back drops I have seen. 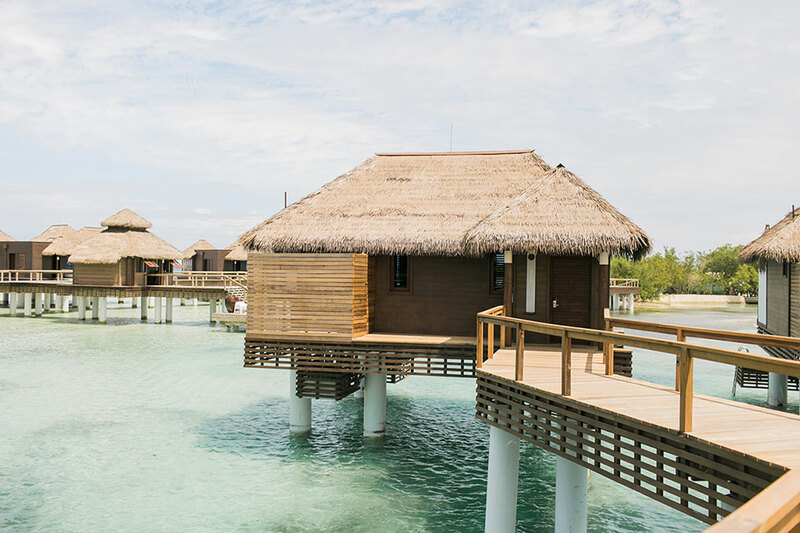 When we got to our final destination I was taken aback by the utter dreaminess that is Sandals South Coast featuring 9 restaurants & 7 bars including the a Jerk Shack & Sushi on the Sand, with each hotel room ocean facing! 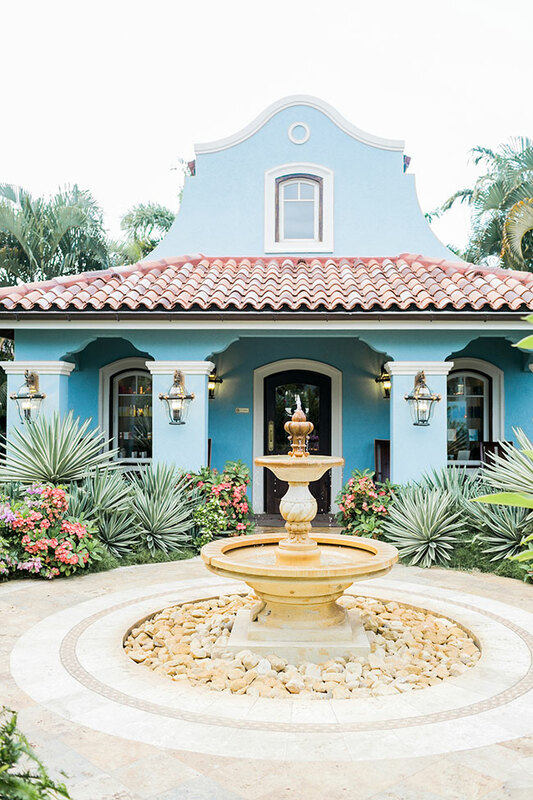 A stunning focal point of relaxation is the far reaching pool with a horizon view of the Caribbean, offering views to the left & right met with lush garden goodness. 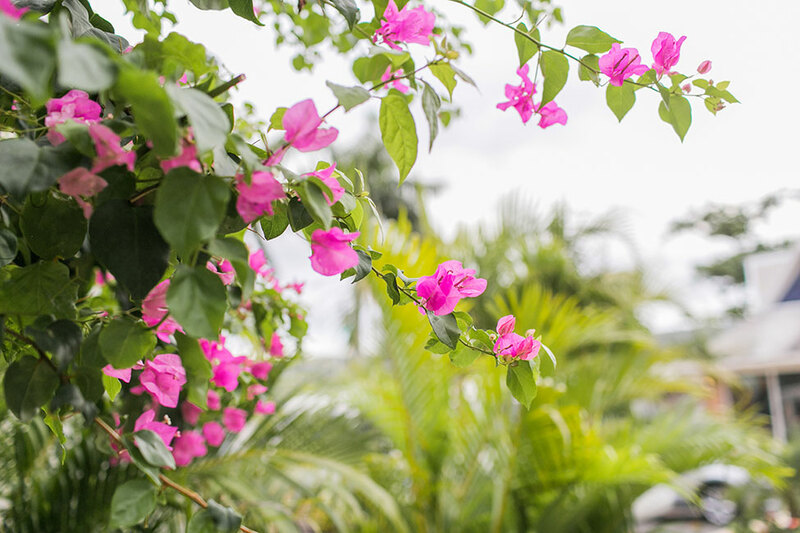 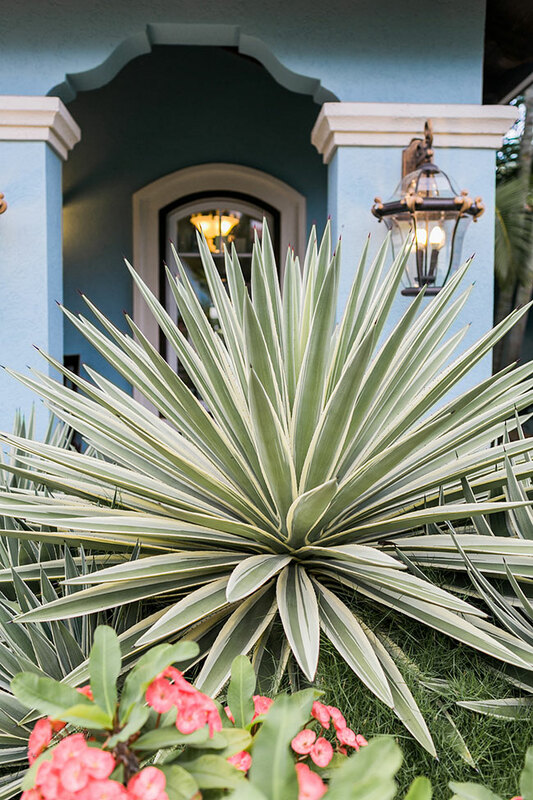 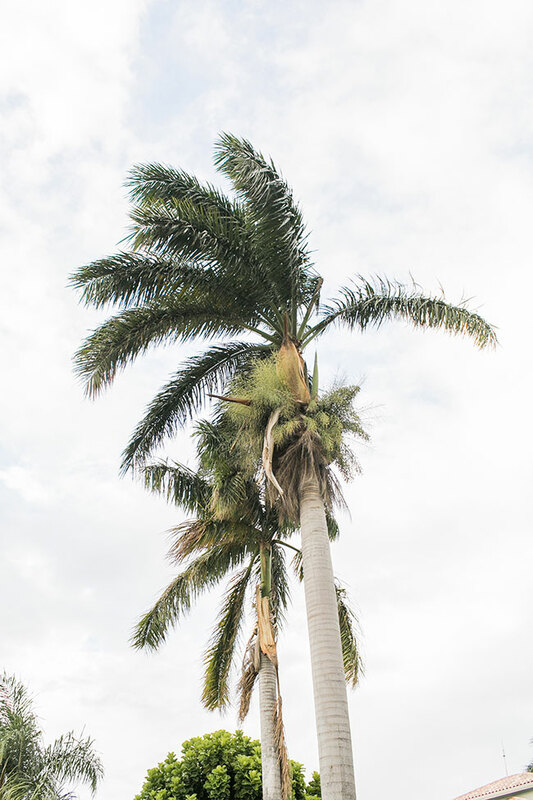 While on property there was no shortage of things to do, from nighttime BBQ ‘s complete with Junkanoo dance troops to sailing adventures that are absolute romance starters. 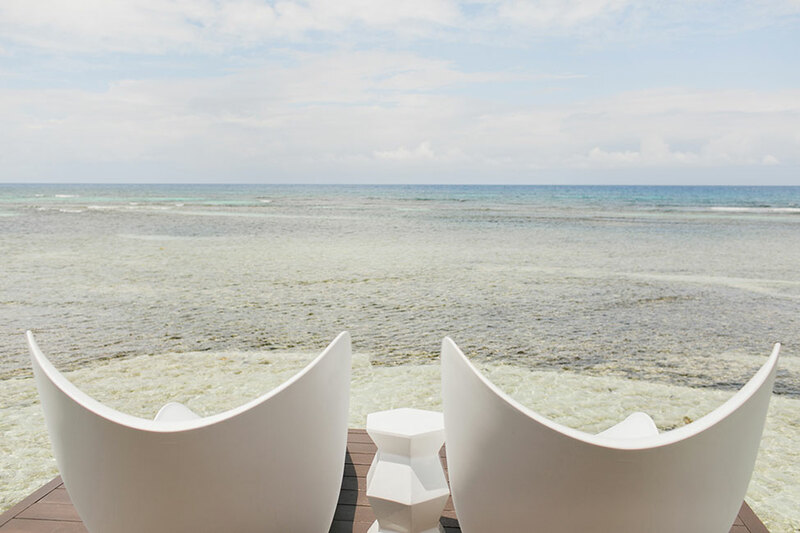 It is however, Latitudes that did it for me! 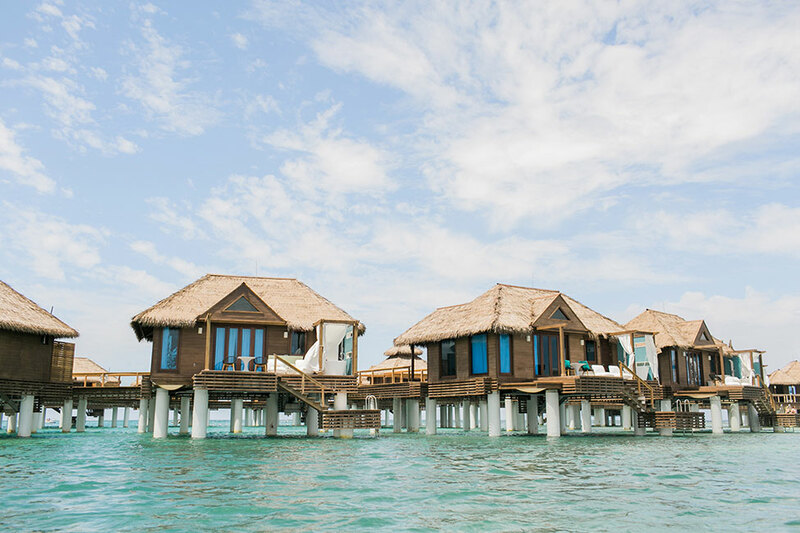 Sandals’ first dedicated over-the-water bar, guests can easily enjoy cocktails while lounging in hammocks suspended above the Caribbean Sea! 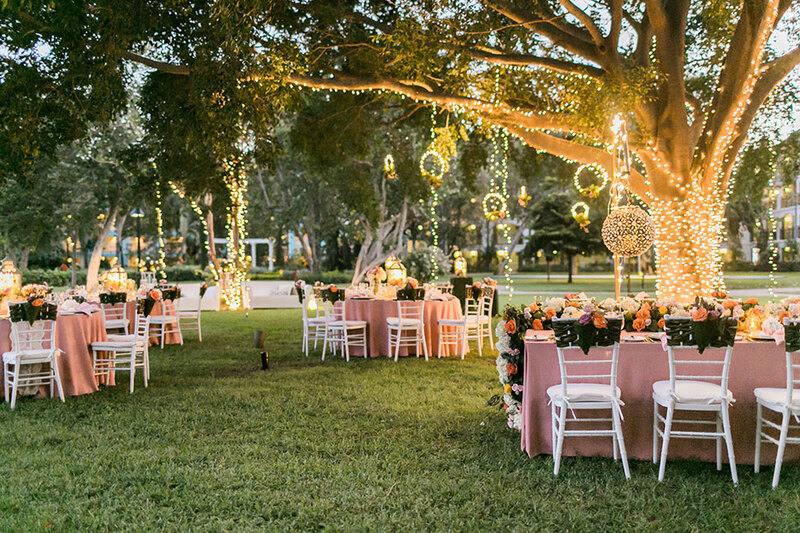 Take about one hell of a place to host a ‘Welcome Party’ for your guests, am I right?! 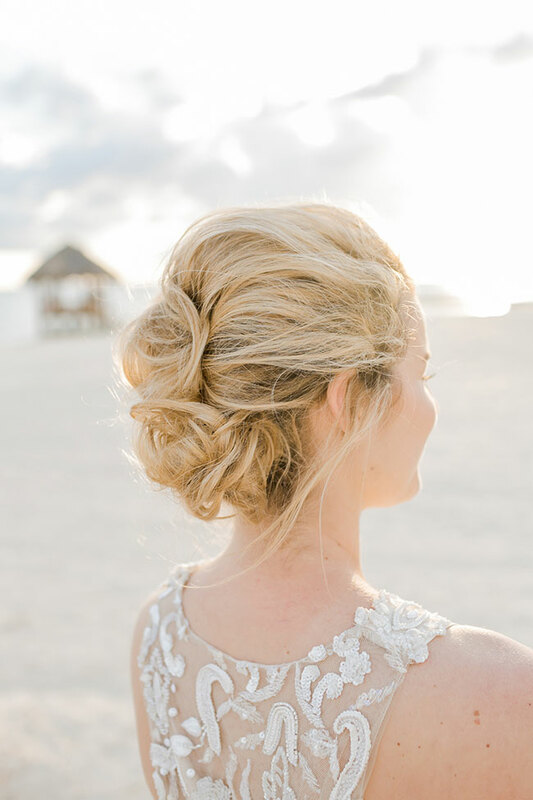 After we got to take in every little piece that the Sandals experience offers, we got a preview of the amazingly dynamic destination wedding offerings Sandals is launching just this year and let me tell you, SO.MANY.UNIQUE.OPTIONS!! 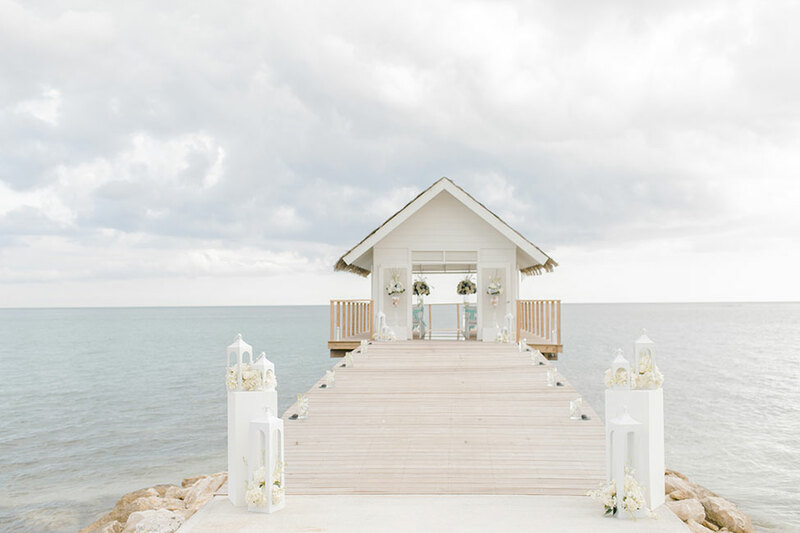 Designed with a wide range of tastes in mind, Sandals Destination Wedding Aisle to Isle program feature eight décor inspirations packages, enhanced options for food and beverage, as well as creative new ceremony and reception locales. 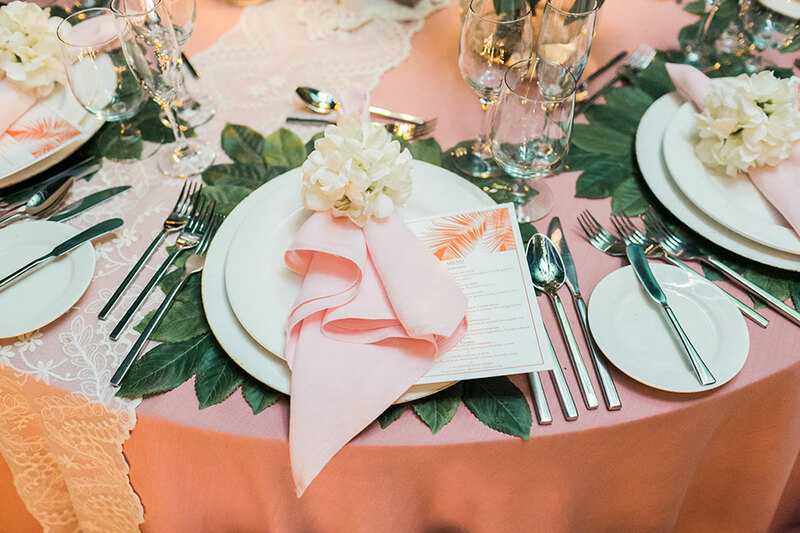 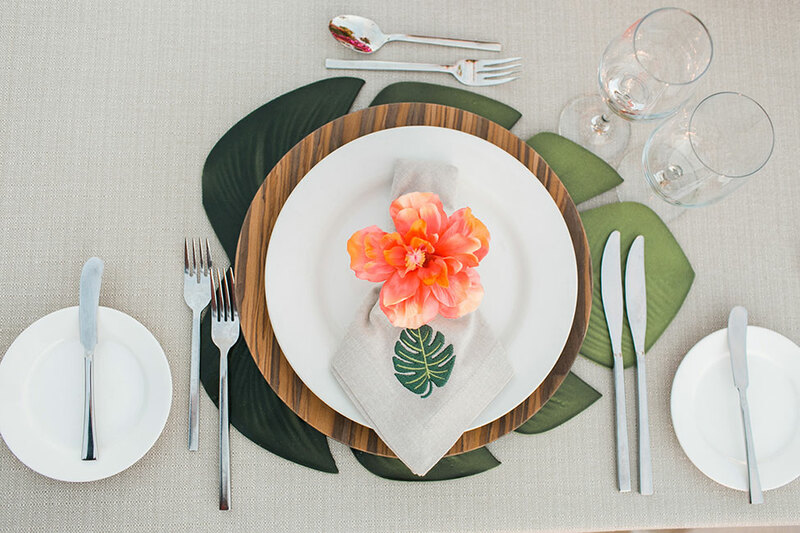 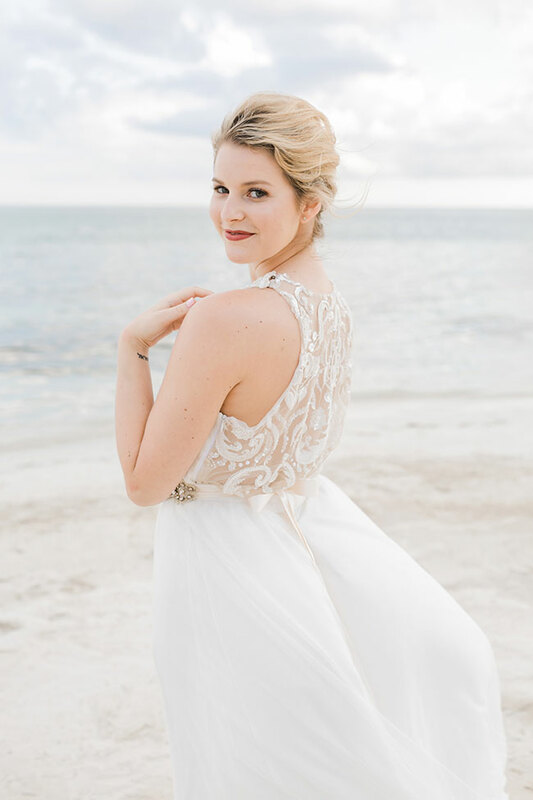 Aisle to Isle was created to give brides endless choices with inspiration influenced by the tropics, gardens, romance, sophistication, nature and sea, everything that is the islands. 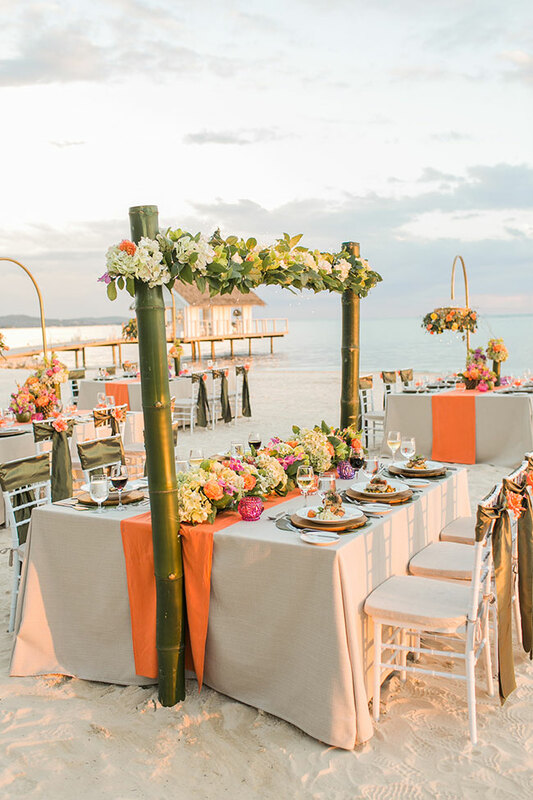 One of the most dynamic aspects to Sandals destination wedding program is the ability to create endless combinations and variations of tabletop design, floral accompaniment and setting, from runners to chair selection, altar design and so much more. 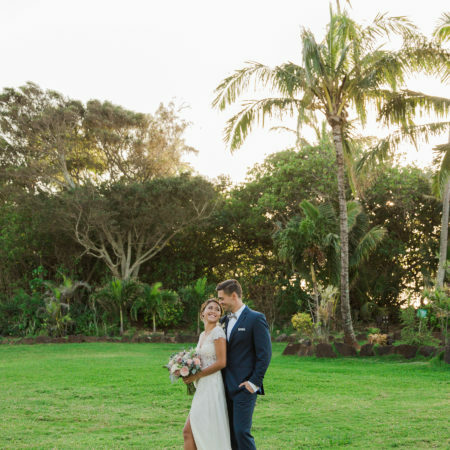 Two such incredibly unique locales are their over the water chapel featuring picture windows of the ocean floor and a twilight garden reception where lights literally dance in the air. 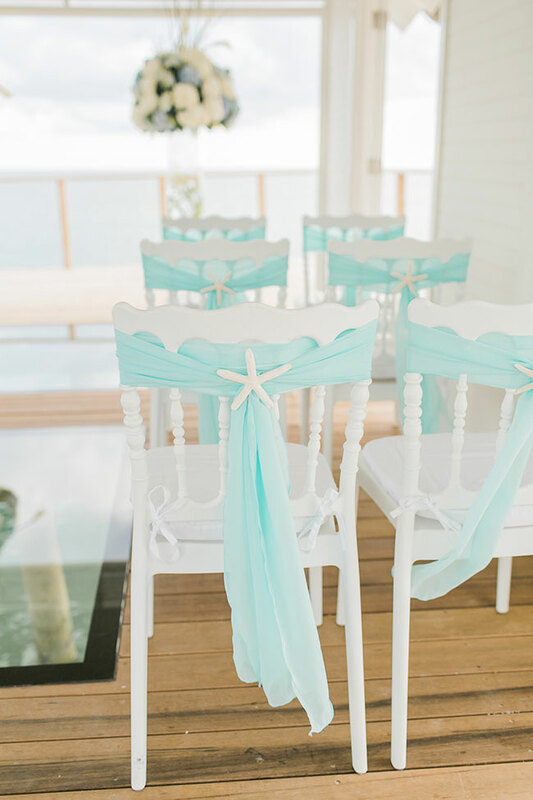 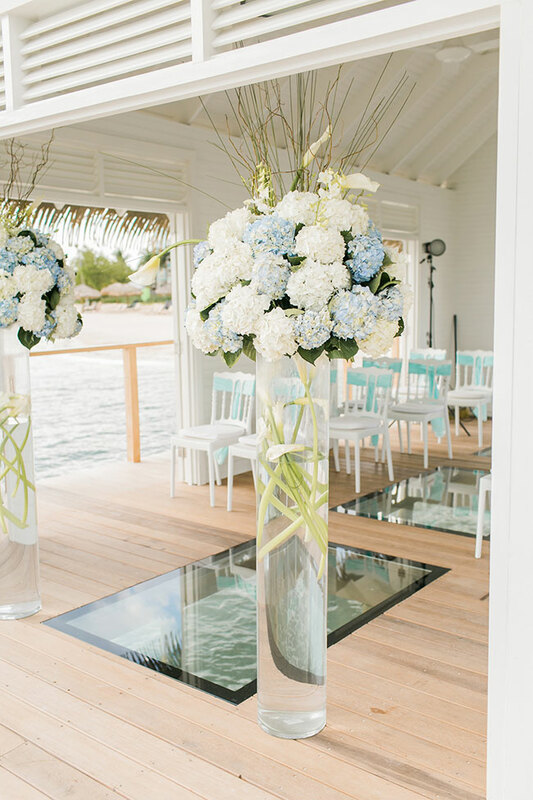 When it comes to destination weddings, these two locales alone measure up with the very best. 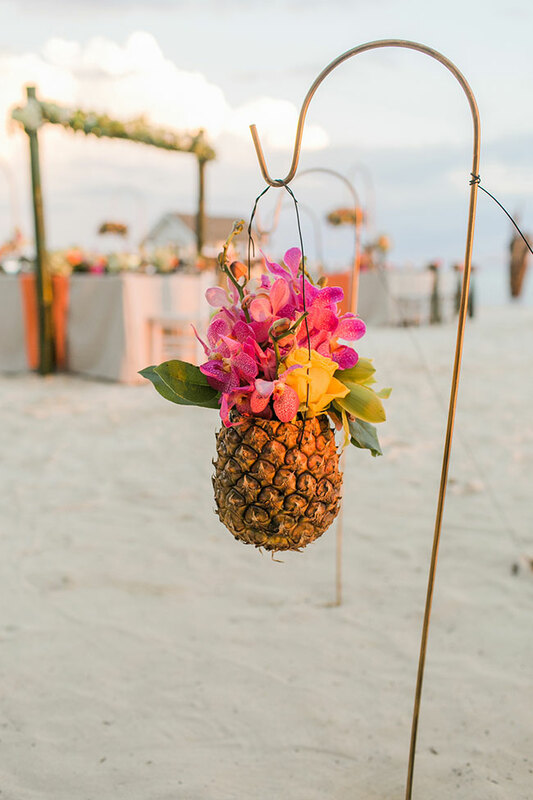 As I mentioned earlier, one of the more intriguing aspects of a Sandals wedding is the ability to bundle it all together. 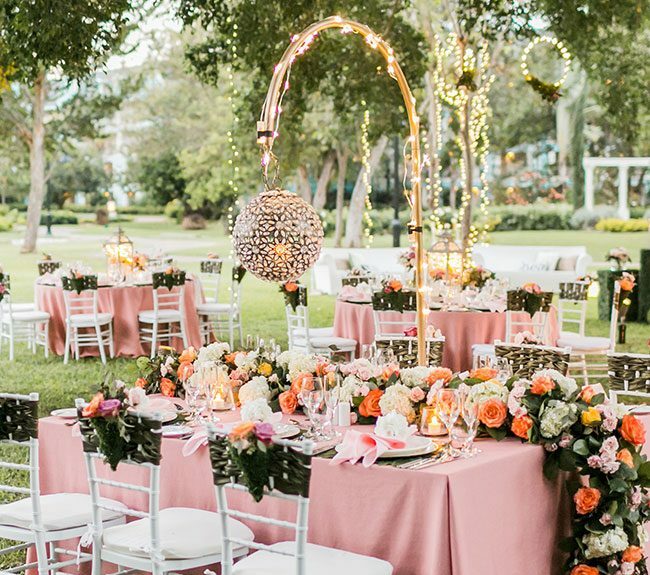 Everyone from deal hunters to those just looking to simplify the various aspects of their planning process will be captivated by all the added perks to creating a multi-day affair. 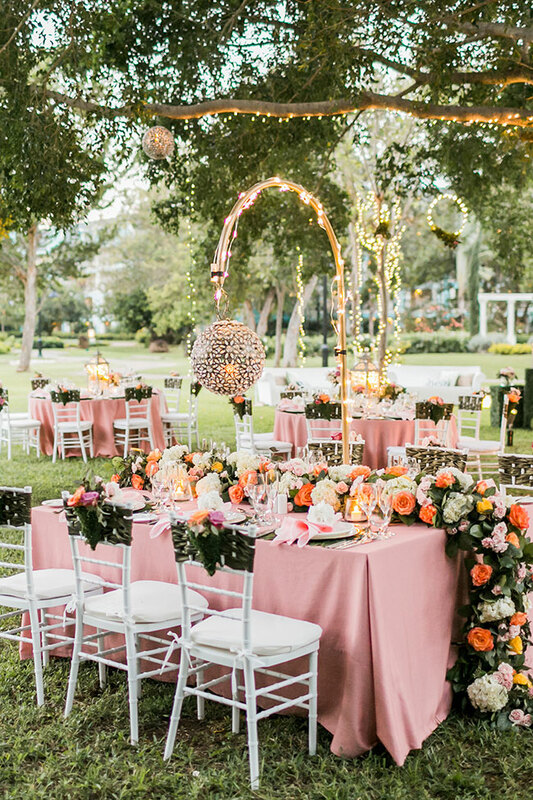 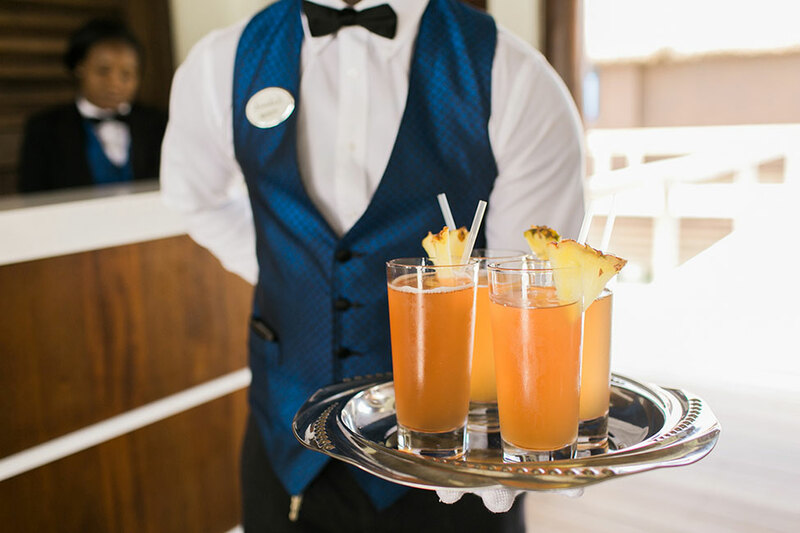 Offering something lovingly coined the “weddings entourage,” couples will receive a team of expert planners who will assist with resort selection, venue scheduling, on-site logistics and the numerous details throughout the wedding stay. 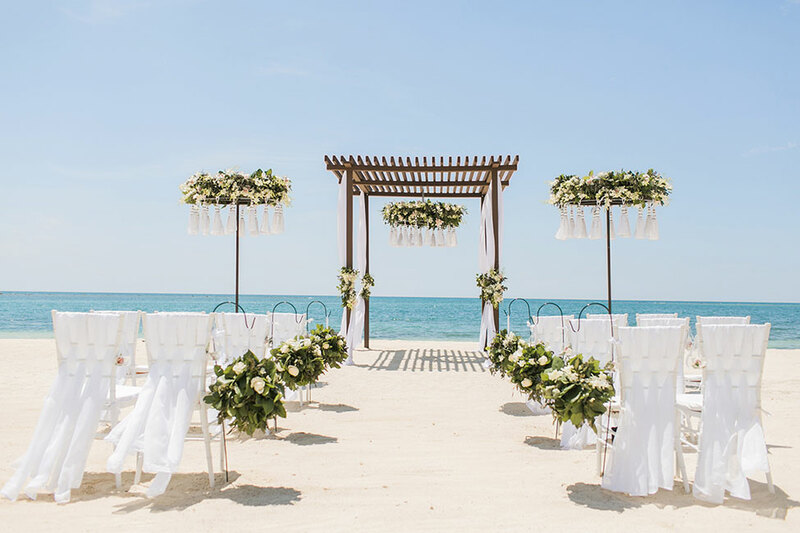 This team will also have suggestions for welcome celebrations, spa days, groomsmen outings and other activities; and the more guests that join the celebration with booked rooms, the more bells and whistles – tangible rewards – couples will earn. 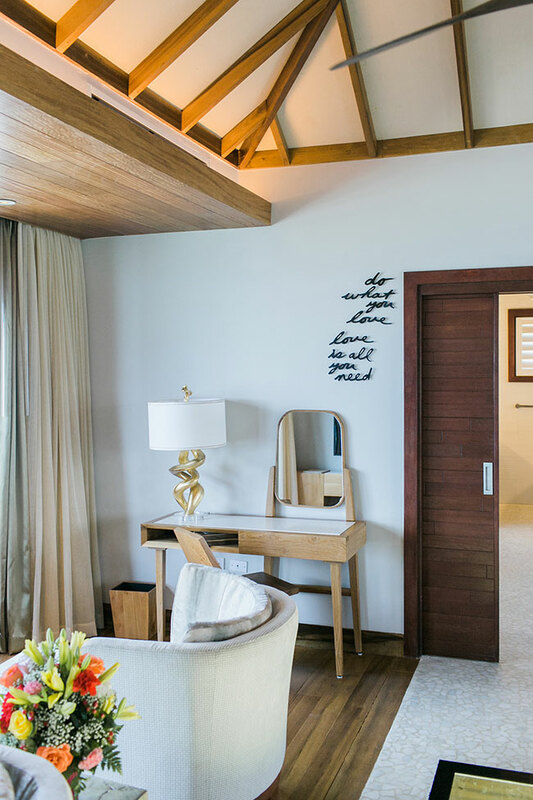 For example, couples who have 12 booked guest rooms will receive $1,000 towards a catamaran cruise, a room upgrade and a two-minute wedding trailer video. 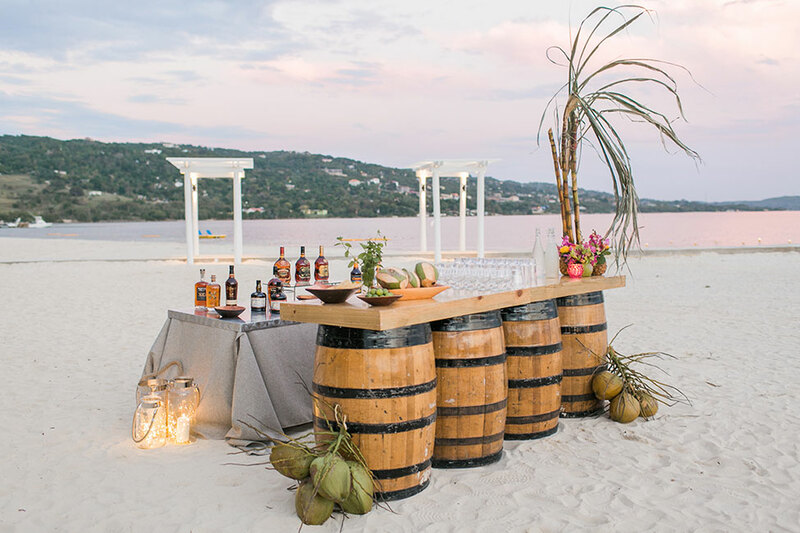 All weddings at Sandals Resorts, whether five guests or 50, include a one-hour cocktail reception, bride and groom signature cocktail, a pre-travel surprise gift, the ‘Wedding Entourage’ of expert planners, white Chivari chairs, manicure, 30-minute foot massage, personalized wedding website, personalized gift registry, honeymoon dinner, breakfast in bed and 1 5×7” wedding photograph. 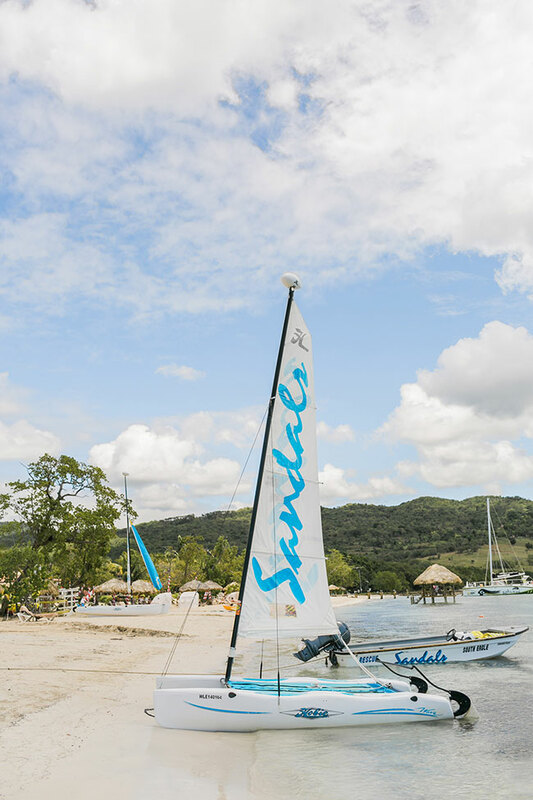 As an incentive to indulge in every aspect of the Luxury Included offerings at Sandals, wedding couples are also given additional incentives for extending their time in paradise. 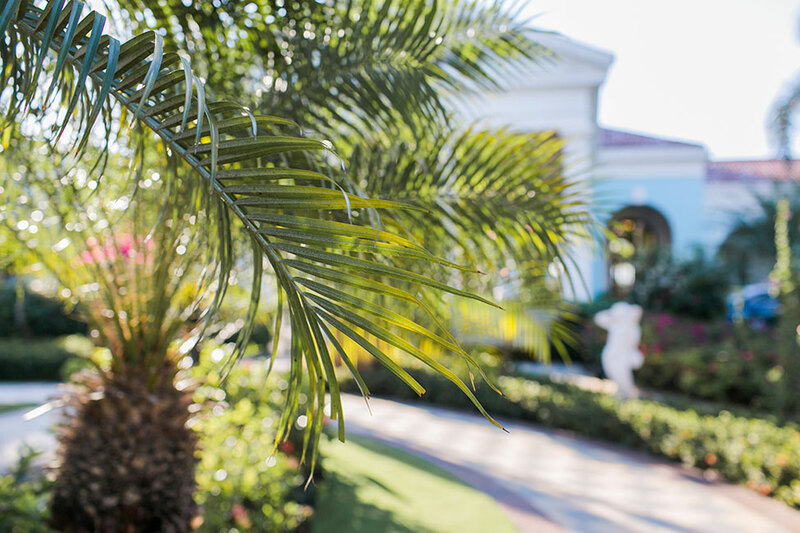 Couples who stay six nights or longer, receive resort credits valued at more than $1,500; and any couple staying three or more nights may opt for Mokara orchid-inspired free wedding that includes Mokara bouquet, boutonniere and cake topper. 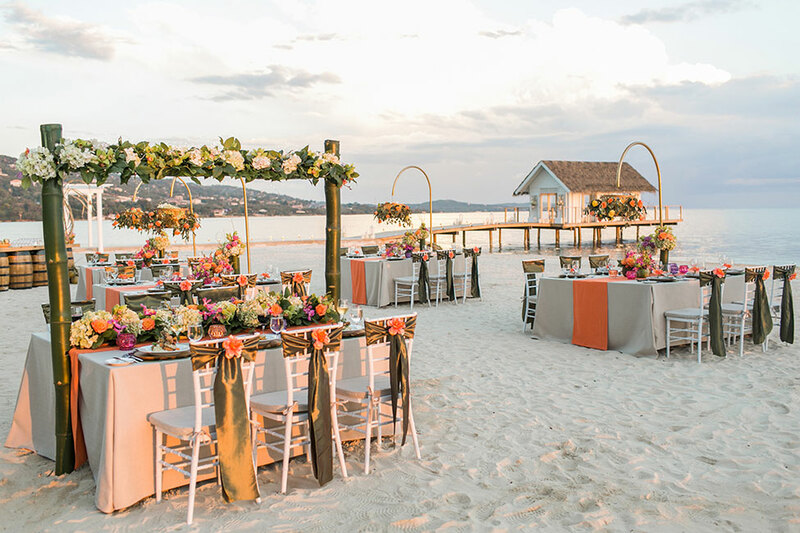 Its true, there are a lot of places one could celebrate their destination wedding. 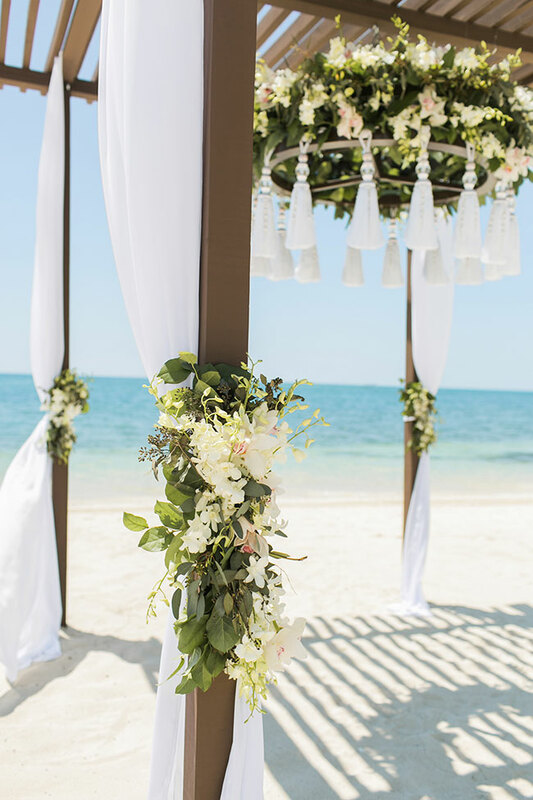 What you really need to do is ask yourself, do they offer you the ability to personalize your wedding in every single aspect, delivering with luxury level design detailing? 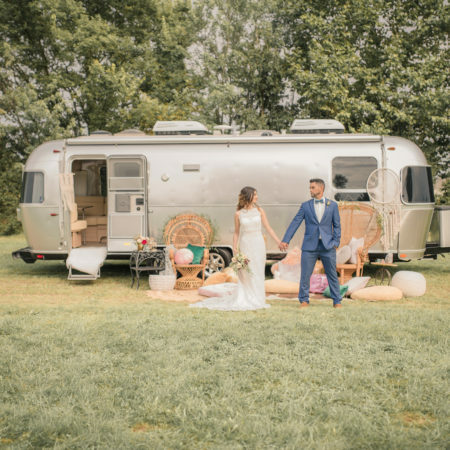 Do they afford you the ability to just show up, and actually be a guest at your own wedding, versus running around for all those last minute errands and projects like so many do?? 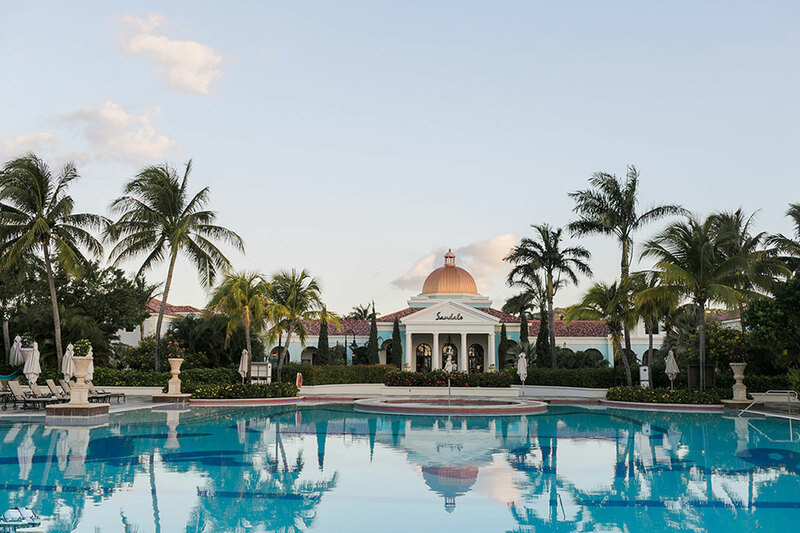 With 18 resorts around the Caribbean, there is certainly at least one that will catch your eye, and remember, get married at one, honeymoon at a another! 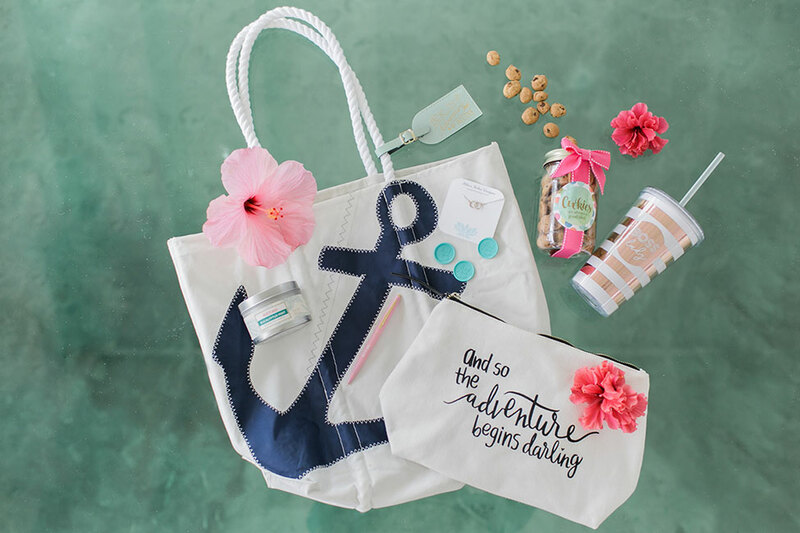 A peek below at our wonderfully cool gift bags, which, lets be honest, would make killer welcome bags!!! 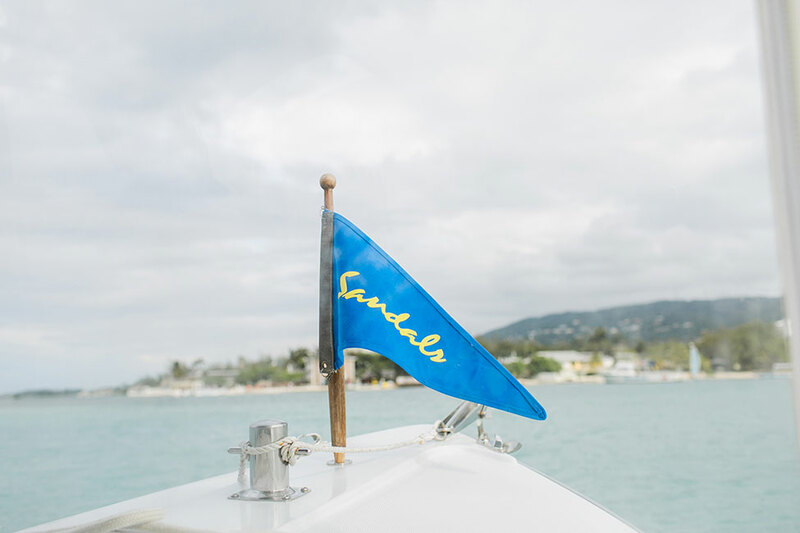 *Sandals South Coast sponsored our stay in Jamaica. 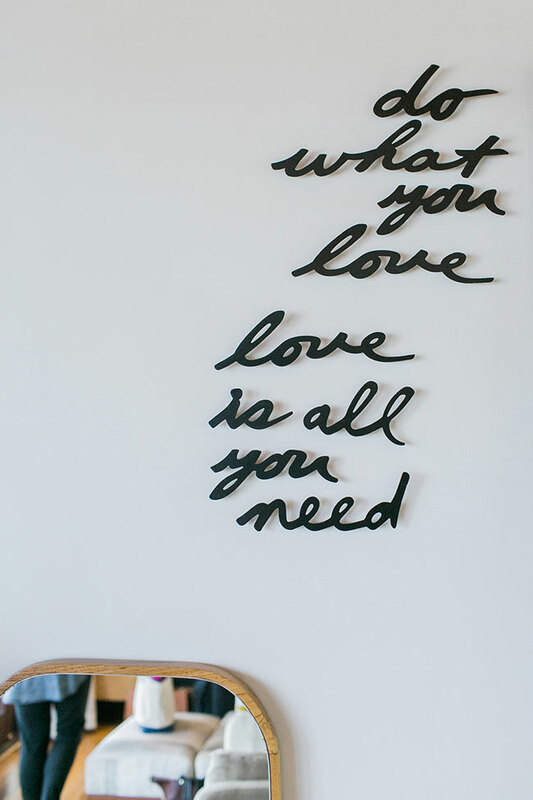 All opinions are the author’s own are not endorsed by Sandals, Aisle Society, or their affiliates.